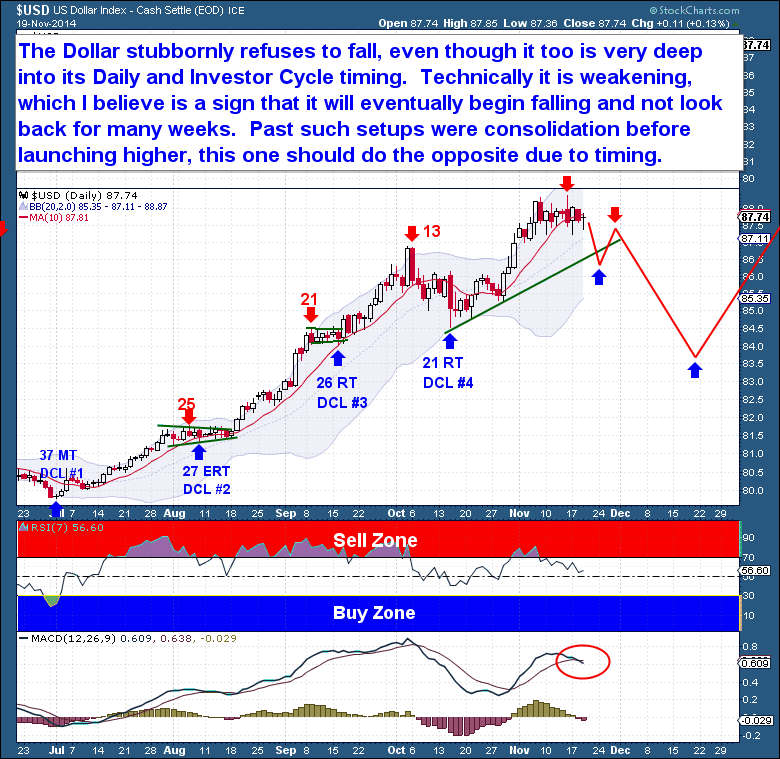 The Dollar stubbornly refuses to fall, even though it too (like crude/bonds) is very deep into its Daily and Investor Cycle timing. 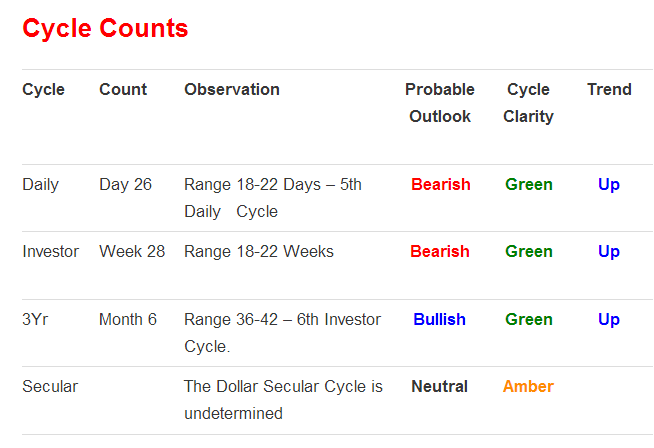 Technically it is weakening, as seen within the indicators on the chart below. I believe this is a sign that the dollar has topped and is about to begin falling. When it eventually does fall, it will probably not look back for many weeks. Such setups in the past acted as bullish consolidation before launching higher, mainly because they occurred earlier in the Investor Cycle. This time around, being that we’re so far past the normal timing band, I expect this is more about the Cycle knocking on support lines that are destined to eventually give way. In the later part of any Investor Cycle, these types of setups normally break to the downside. Stairs Up And Elevator Down?